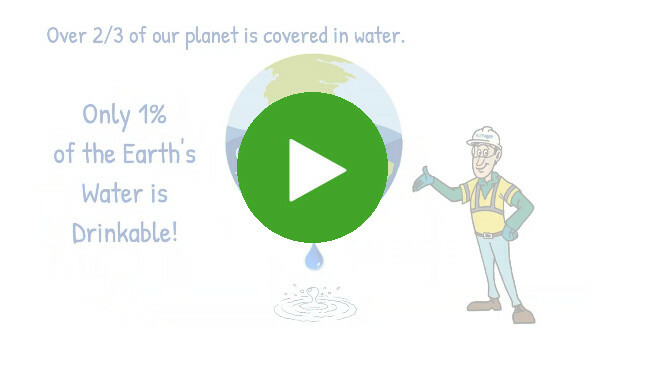 We may live on the "blue planet", but did you know less than 1% of the water covering the earth has to sustain all living things? Just think of all the ways you use water. And that’s just you. Every living thing on Earth, plant and animal, requires fresh water. Demand for water continues to grow across the planet due to Earth's population explosion. The result is increasing amounts of polluted wastewater. Sadly, over 80% of the world's wastewater (over 95% in lesser-developed nations) is released into the environment without the treatment it needs to remain a safe source of freshwater. The final destination for most of this polluted wastewater is the ocean, which causes damaging side effects to marine environments. Those side effects ultimately affect us all. Learn more about how FLEETWASH is helping to preserve Earth's precious water supply. FLEETWASH has been doing its part to protect our water supply since 1973. Thanks to their patent-protected C.A.R.E. water recovery system, FLEETWASH is able to collect harmful pollutants from client's washwater, water that could enter our water system through storm drains if not properly handled. Learn more about FLEETWASH's GREEN clean.